SNEA (I)/CTC is deeply shaken over the sad and sudden demise of Com Tarak Dutta, Vice President SNEA/CTC. Com Dutta, had been suffering from critical illness and was under treatment for last couple of months. True to his attributes, he was waging a strong battle to recovery. However, to our utter shock, Com Dutta passed away in the early hours of today. Let his soul rest in peace in heavenly abode and let Almighty give enough strength to the bereaved family members for the irreparable loss. SNEA/CTC lost a valiant soldier, who had always remained actively close to the activities of the association and contributed in a large way even after his retirement. The association equally shares the pain and sorrow with his grief stricken family. Comrades, start mobilization for the Dharna on 07.05.2015 and Relay Hunger strike from 19th to 21st May, 2015 for the settlement of following cadre issues. Harder programmes will follow in case issues are not settled by that time. Standard Pay scales of E2, E3, —- for JTO/JAO, SDE/AO etc upto SGJAG. No demotion of the basic cadres JTO and SDE. Time Bound Functional Promotion between 4 – 6 years. Settlement of Pay Anomalies, antedating etc. First TBP uniformly after 4 years w.e.f 01.10.2000. Upgraded pay scales w.e.f 01.10.2000 and amendments of RRs for Civil/Elect/Arch wings. SNEA(I)/CTC congratulate office bearers, activisits, members at all levels and wellwishers amongst citizens around for their active participation and support for the strike called by Forum of executives and non- executives associations on 21/04/2015 & 22/04/2015. In CTD, the strike was overwhelming and the days passed of peacefully with huge gatherings in each and every main building wherein speakers of various constituent unions/associations addressed and shared the concern of BSNL and resolving to fight hard to revive it. The spontaneous participations reflected the prevailing mood of the employees, the determination to bring back BSNL from the brink of disaster. SNEA(I)/CTC appeals to all, irrespective of ideology one possess, to unite together and be prepared for further struggle, if situation calls for. 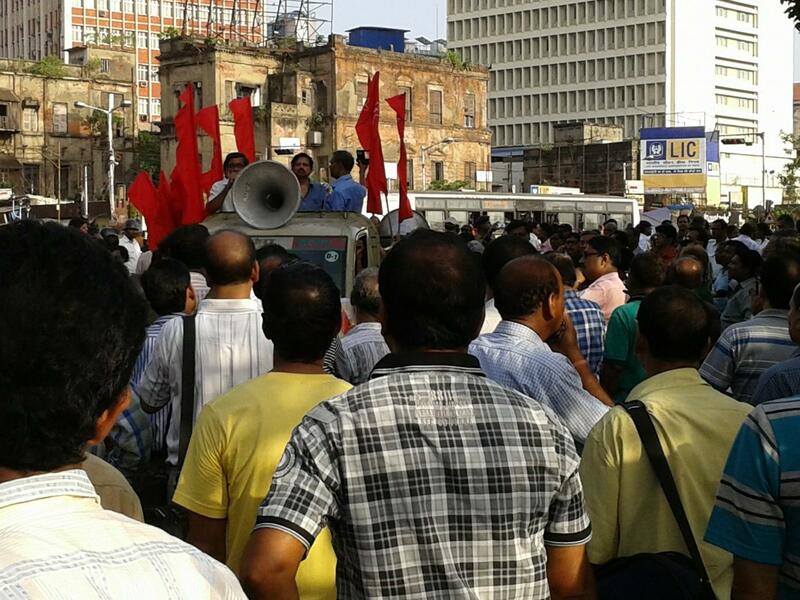 As per the initial reports from A&N, AS, BR, CHTD, CHG, CTD, GUJ, HP, KTK, KRL,MH, MP, NTR, RAJ, OR, J&K, PB, TN, UPE, UPW and WB Circles, almost 100% of the employees are participating in the strike today. The response from all over the country is overwhelming. All the Circles reported that more employees joined the strike today which shows that the correct message has reached to all the employees. The official figure for yesterday was 87% even after Circles like CGM/NTR forged the official figure and send wrong report to BSNLCO when all the equipments rooms and offices in NTR remain locked. Senior officers admitted that if the official figure is 87%, then the actual figure will be more than 97%. The massive participation shows the concern of the employees on the future of the company and their commitment to revive the company. The message is loud and clear. Whether the managers in BSNL and the babus in DoT listening to that? It will be known in the coming days. Otherwise we have to make them to listen……. Congratulation to all our CSs, office bearers and activists at all levels, CSs and activists of various Unions and Assns who worked day and night to make the 2 day strike a grand success. 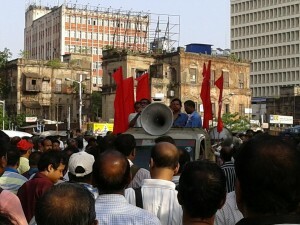 Above all, Central HQs salute the real fighters, our comrades at grass root level, who made this strike 100% successful. Make extensive preparations. 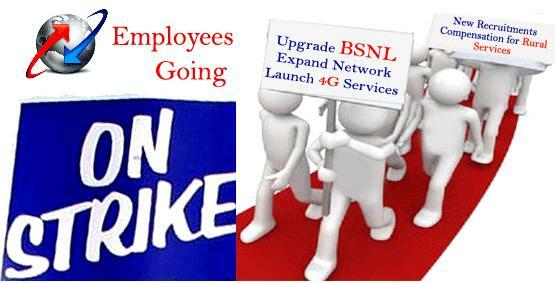 Success of the strike going to decide the future of BSNL and the future of the employees. The two days “Stay out strike by abstaining from duty will be from 00.00 Hrs of 21/04/2015 to 24.00 Hrs of 22/04/2015. Forum has to conduct demonstration infront of all Circle, SSA HQs and all major stations on both days. 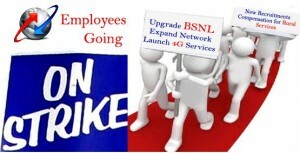 All employees should participate in the two days “stay out strike” to “SAVE BSNL, SAVE NATION “. 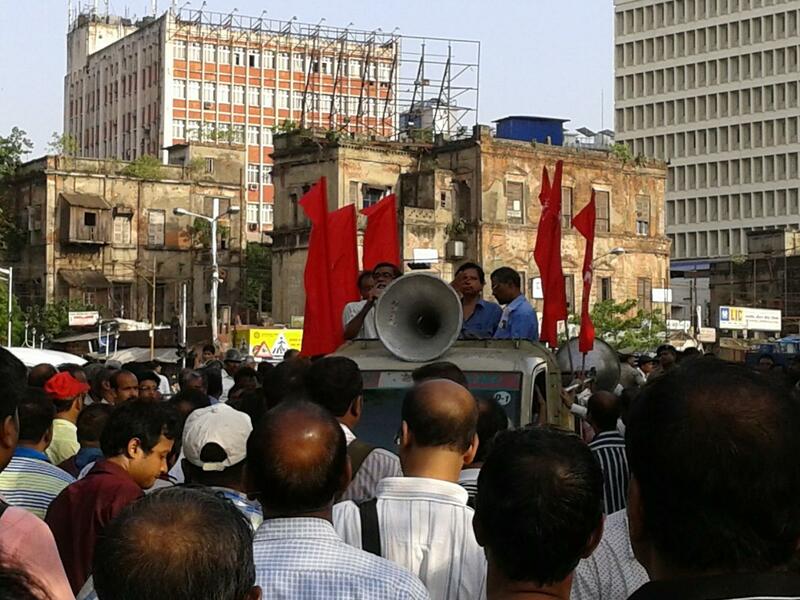 As part of final exercise for the strike, Forum of executives and non-executives” associations/unions made a mammoth gathering at Telephone Bhavan/Kolkata. 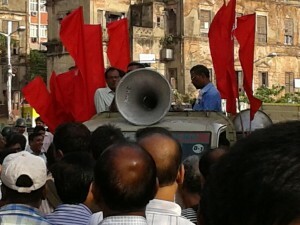 Convenor and State Coordinator conducted the programme and addressed the gathering elaborating on the compulsion to go on strike. Circle Secretaries/representatives of all constituent unions and associations, namely BSNLEU, AIBSNLEA, NFPTE, AIGETOA, BTEF, AIBSNLOA, SNATTA, and others deliberated on the need for the employees/officers to unite together to save BSNL. Policies adopted by the Govt and the sheer indifference on the part of BSNL to revive the company are nothing but sounding the death knell of the company. The grass root stakeholders cannot remain mute to such situation but to strike back to save BSNL to save the nation. Circle secretary/SNEA(I)/CTC condemned the often adopted policies of disinvestment and depriving the justified dues to BSNL BSNL has been robbed of exemptions of licence/spectrum fee, refund of BWA spectrum fee, transfer of land ad assets, etc and is deliberately being plunged into unviable pit. CS/SNEA(I)/WBTC and SNATTA of WBTC also addressed the gathering. Com Dilip saha, CS, Com Sankar Sanyal, AGS, and Com Soumen Ghosh ACS met CGM/CTD in presence of GM/HR & Admin to resolve some of the long pending HR related issues which deserves immediate attention for immediate settlement. Association pointed to the case of SDE/CMTS who is to be brought under GPF instead of EPF. The official was working as JTO/Electrical as BSNL absorbee. Later, he got selected as JTO Telecom under outsider quota applying through proper channel. 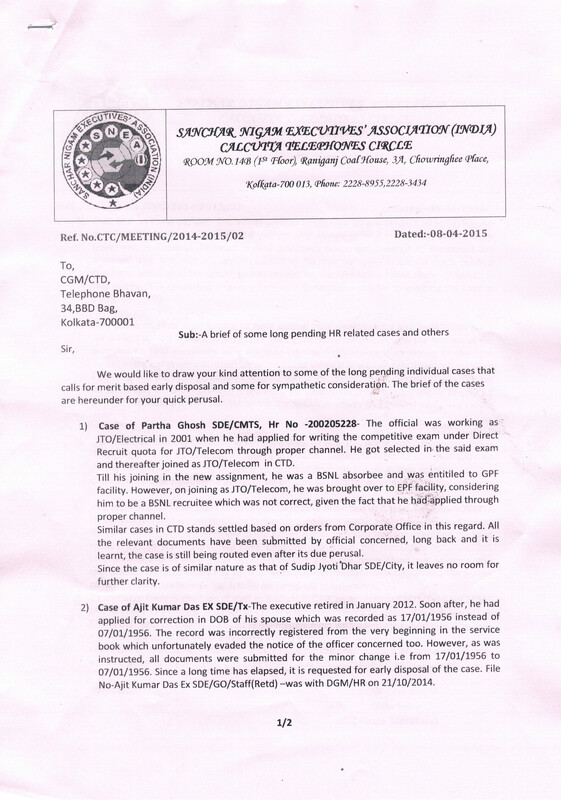 Since he became JTO/Telecom in BSNL, he was treated as BSNL recruitee instead of BSNL absorbee. Similar cases already settled was brought to the notice of CGM/CTD. Case of Ajit Kr Das Ex SDE- A mere correction of DOB of his spouse is pending since more than two years. 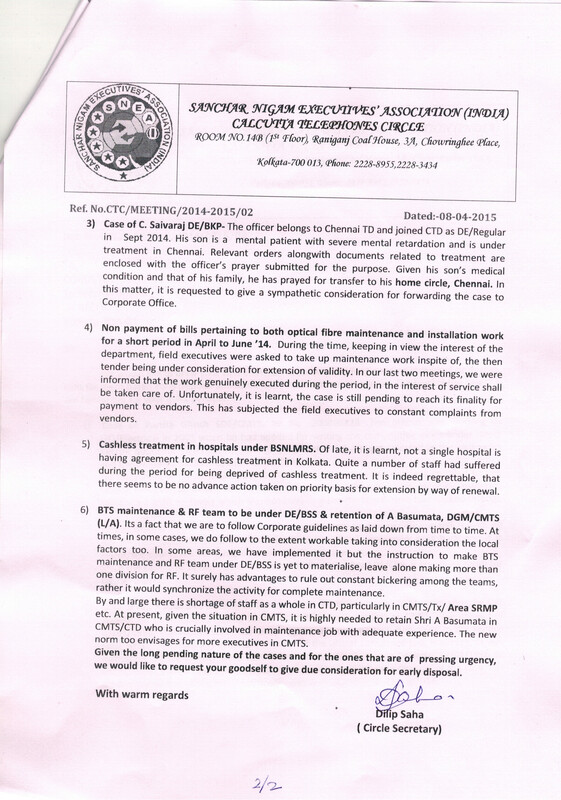 Association expressed dismay at not forwarding the prayers to corporate office for transfer to hometown, particularly those that are made on extreme medical ground. Association also expressed strong resentment for not taking appropriate steps in advance for renewal of agreements with hospitals for cashless treatment. The officials are being subjected to unnecessary harassment and too long a time is being taken to address such sensitive issues. In matter of service, Association pointed to retention of some officers serving at crucial positions and suggested CGM not to release till replacements are provided. In matter of CMTS, association once again reminded for making more than one division in RF mntce and bring the team of RF optimization and BTS mntce team under DE/BSS as per Corporate Office order. CGM appreciated the issue and informed that he would discuss the issue at concerned level. Com Dilip Saha CS, Com Prasanta Ray Org Secy/Circle, Com Achin Basu, Com Alok Ray Com Manas Basu, Com Pradip Biswas, com N Bagchi and others of NS Zone attended the convention at RTTC/Kalyani called by Forum of executives and non-executives association of Area BKP. Com Bhajan Sarkar, the convenor and office bearers of other participant unions/association addressed the gathering on various developments in BSNL and how govt policies are working detriment to the organisation. Com Dilip Saha CS/SNEA(I)/CTC deliberated on various issues ranging from induction at CMD/Directors as regular incumbent to non-refund of spectrum fee, hiving off tower business to subsidiary, making of BBNL at the cost of BSNL, non-imbursement to expenditure incurred for rendering services to rural areas etc. All the speakers appealed to the house to unfailingly be a participant to strike called by the Forum on 21st and 22nd of April’2015. The strike called is not for any financial benefit for staff but to ensure ways for revival of BSNL and make Govt pay the justified dues to BSNL.